It is suitable for printing such packing materials as polyethylene, polypropylene bag, cellophane and paper in roll, etc. It is a kind of ideal printing equipment for producing paper packing bag for food, supermarket handbag, vest bag and clothes bag, etc. 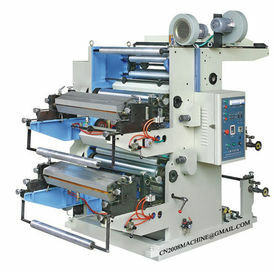 It's quite commonly used for small order quantity printing service.